#Israel and #Hezbollah: thats enough now! Anyone who planned the alleged Israeli strike last week in Syria which killed senior Hezbollah operatives and one Iranian General knew that Hezbollah was going to retaliate. That retaliation came today in the form of an attack against several Israeli jeeps in the Har Dov area. Two Israeli soldiers were killed, several were wounded. We don’t want further escalation. I think Israel should hold its fire. We don’t want this situation to turn into a war. Its not good for us or for Hezbollah. Unless of course Hezbollah attacks again, or that it starts building a military networks on the Golan heights, as Maj. Gen. (res.) Amos Yadlin stated tonight Hezbollah wants to do. 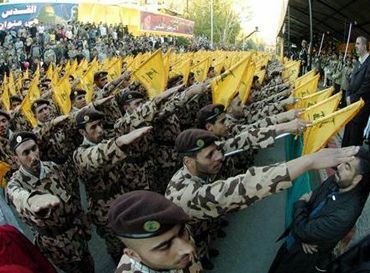 Hezbollah is a Lebanese organization. Hezbollah bases in Lebanon? Understandable. Hezbollah bases in Syria, a foreign country where Hezbollah is helping its regime kill hundreds of thousands of its civilians? No. A Hezbollah base against Israel on the Golan heights would be unacceptable to any Israeli government, be it Likud or Labor. No one in Israel would be willing to accept such a scenario. But, lets wait and see what actions Hezbollah takes next. We all have bigger priorities. Hezbollah’s Iranian patrons have their negotiations with the P5+1 to worry about. Hezbollah has ISIS to worry about. And we in Israel have social – economic challenges which desperately need to be addressed by our politicians.